The Trophées UNFP du football are a number of awards given annually by the National Union of Professional Football Players to players playing in France's Ligue 1 and Ligue 2, as well as to managers and referees, the most prestigious one being the Player of the Year. Created in 1988 under the name Oscars du football, they were renamed in 2004 after a complaint by the Academy Awards committee. The ceremony has been broadcast live on Canal + since 1994. David Ginola was the first recipient of the Player of the Year award. Pauleta was the first player to have been named Player of the Year twice. 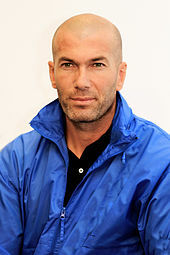 Zinedine Zidane was named Young Player of the Year in 1994 and Player of the Year two years later. Ulrich Ramé was the inaugural winner of the Goalkeeper of the Year award in 2002. Grégory Coupet won the award four times in a row between 2003 and 2006. Guy Roux was named Manager of the Year after leading Auxerre to their first double in 1996. Unlike the other awards, the best goal of the year is chosen by the public. 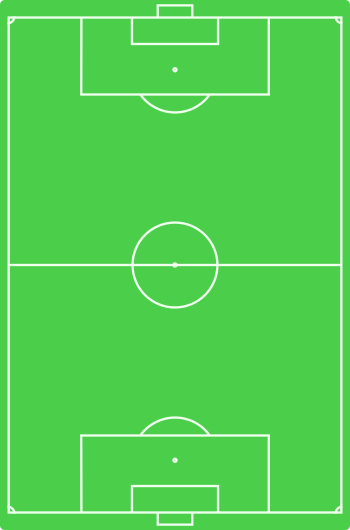 Highlighted players have appeared in the team of the year more than once since 2003. Algerian international Karim Ziani won the Ligue 2 Player of the Year award in 2006. Vedran Runje became the first non-French goalkeeper to be named Ligue 2 Goalkeeper of the Year. Jean Fernandez was named Ligue 2 Manager of the Year in 2001, the year the award was introduced. Captain of the French national team Sonia Bompastor was named Player of the Year in 2004 and 2008. This award is given to the best referees of the year. ^ "Trophées UNFP - Oscars du foot" (in French). Retrieved 2009-05-24. ^ "Palmarès Trophées UNFP - Oscars du football - Meilleur joueur de Ligue 1" (in French). Retrieved 2 August 2017. ^ "Palmarès Trophées UNFP - Oscars du football - Meilleur espoir de Ligue 1" (in French). Retrieved 2 August 2017. ^ "Palmarès Trophées UNFP - Oscars du football - Meilleur entraîneur de Ligue 1" (in French). Retrieved 2 August 2017. ^ "Palmarès Trophées UNFP - Oscars du football - " Le plus beau but de Ligue 1 " (vote du public)" (in French). Retrieved 2 August 2017. ^ "Palmarès Trophées UNFP - Oscars du football - Meilleur joueur de Ligue 2" (in French). Retrieved 2 August 2017. ^ "Palmarès Trophées UNFP - Oscars du football - Meilleur gardien de Ligue 2" (in French). Retrieved 2 August 2017. ^ "Palmarès Trophées UNFP - Oscars du football - Meilleur entraîneur de Ligue 2" (in French). Retrieved 2 August 2017. ^ "Palmarès Trophées UNFP - Oscars du football - Meilleure joueuse de la saison" (in French). Retrieved 2 August 2017. ^ "Trophées UNFP: Eugénie Le Sommer élue meilleure joueuse de la saison" (in French). Retrieved 17 May 2015.